You may feel that you’ve everything ticked off the list of UK family breaks already. You’ve loved and left London and exhausted the Lake District, sampled the beaches of Cornwall and taken in the history of Wales, captured the culture of the Cotswolds and discovered every attraction in Yorkshire. So, what’s next? 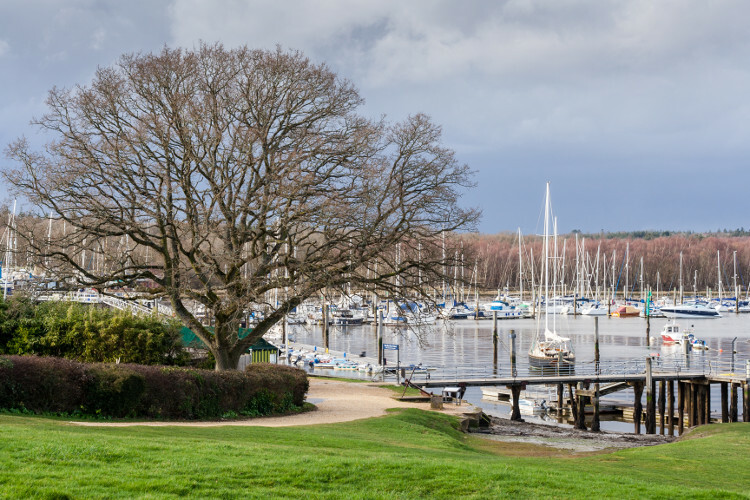 Whilst most families flock to the usual destinations, we suggest you try some of the hidden UK gems – they’re often underestimated but make for ideal getaways from the crowds. 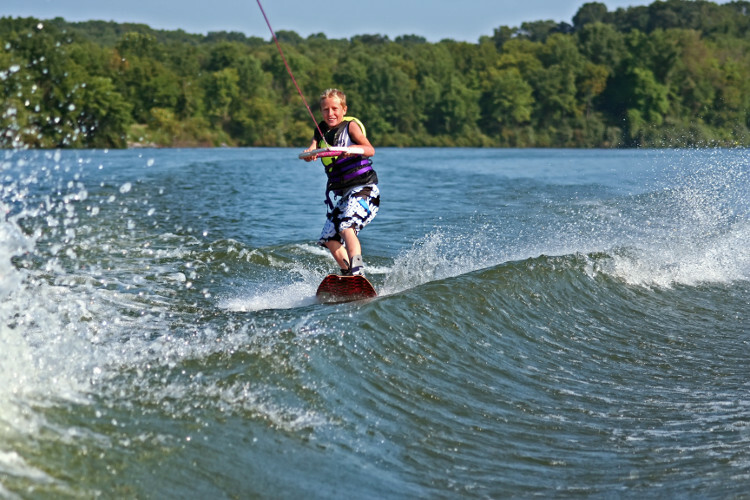 As well as their beauty, they offer an abundance of outdoor adventure, attractions and entertainment on tap for the whole family. Pack up the car and treat your tribe to a staycation with a difference in one of these five underrated family-friendly destinations in the UK. This may not be a destination you’ve considered for a holiday in the UK, but it’s actually one of Britain’s hidden gems. 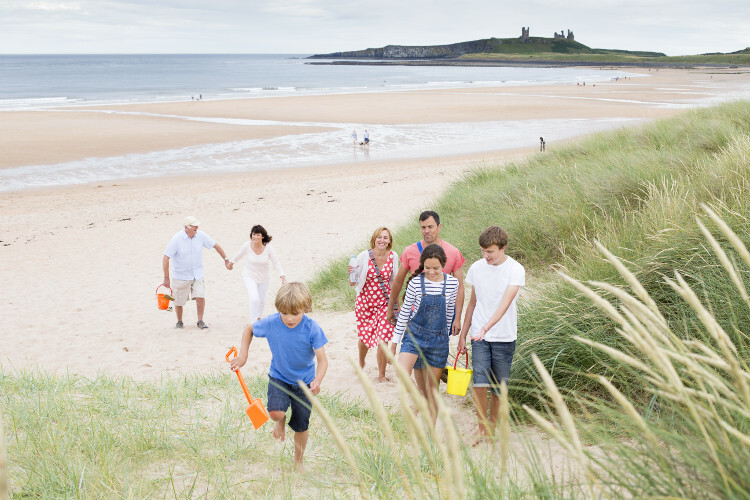 Beautiful unspoilt beaches, historic ruins and wild outdoor spaces make for an abundance of adventures and there’s plenty of family-friendly attractions in Northumberland too. Renowned for its connections to the Roman era and Hadrian’s Wall, the castle-crowned villages of the region offer an educational experience for kids of all ages. 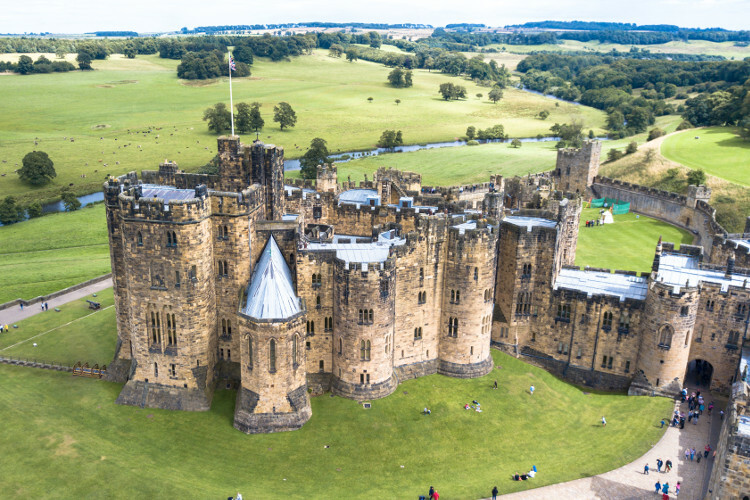 Older teens might recognise Alnwick Castle as the filming location for Harry Potter and they’re sure to love the wizarding activities inside, including broomstick training. 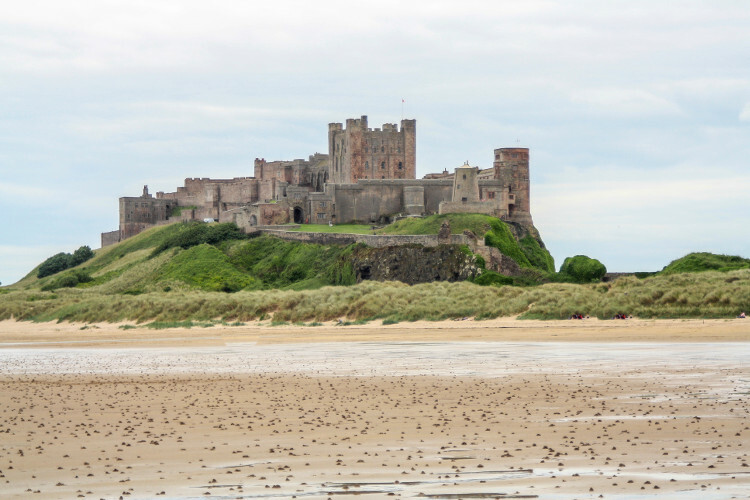 The atmospheric Bamburgh Castle which is dramatically positioned next to the sea, is perfect for imagining tales of kings, queens and brave knights. And aside from the castles (all 70 of them! ), there is a myriad of museums and galleries where the younger minds of the family can develop their knowledge of history in a fun and interactive way. Did you know that Northumberland is home to Europe’s largest international Dark Sky Park? 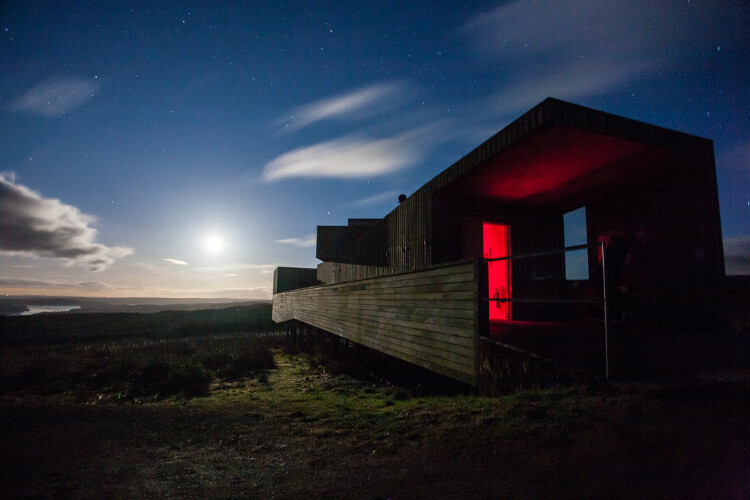 Planets, stars and dazzling meteor showers can be admired across the night sky with the naked eye, or you can venture to the Kielder Observatory and make the most of their state-of-the-art telescopes. This is the ultimate opportunity for children to stargaze and learn about our galaxy. 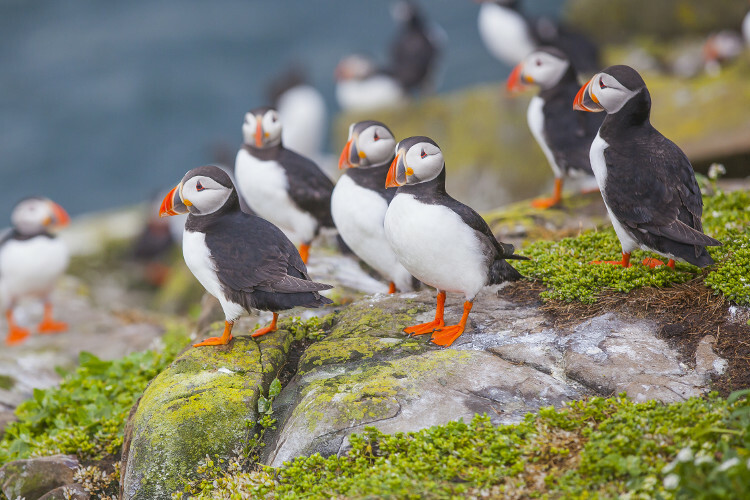 More excitement can be found on a boat trip to the Farne Islands where you can observe Northumberland’s playful sea life, from puffins to seals and during the breeding season, around 150,000 seabirds perched on the rocks. Or enjoy an unforgettable adventure across the causeway at low tide to the Holy Island of Lindisfarne, a haven for wildlife and one of Northumberland’s best-preserved locations. Holidaycottages.co.uk offer a fantastic selection of family-friendly cottages in Northumberland packed with features both children and adults will love, including spacious gardens and games rooms. Have a browse here. 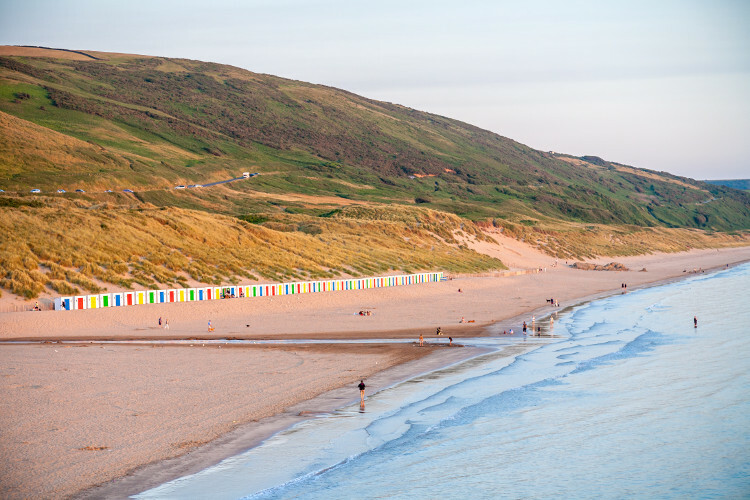 Family holidays to Devon are perfect for those who want to experience the fun of being beside the seaside, yet with much less busy beaches than those in neighbouring Cornwall. To the north of the region are the sweeping sands and brilliant surf of Woolacombe and Ilfracombe, the charming cobbled streets of Clovelly and the vast expanse of the Exmoor National Park. And to the south, you can experience a wealth of family-friendly outdoor activities in the Dartmoor National Park or relaxing beach days at the English Riviera resorts of Torquay, Brixham and Paignton with their Victorian promenades, clean waters and traditional amusements. When it comes to family attractions, nowhere does it better than Devon. From outdoor activity centres and theme parks to museums, art galleries, historic houses and castles, all ages are catered for. When the sun is shining, a trip to Splashdown Quaywest Waterpark is sure to be a hit with its exhilarating flumes, and if the weather turns, The Milky Way Adventure Park has a combination of indoor and outdoor rides and The National Marine Aquarium houses an array of mysterious creatures from the deep. 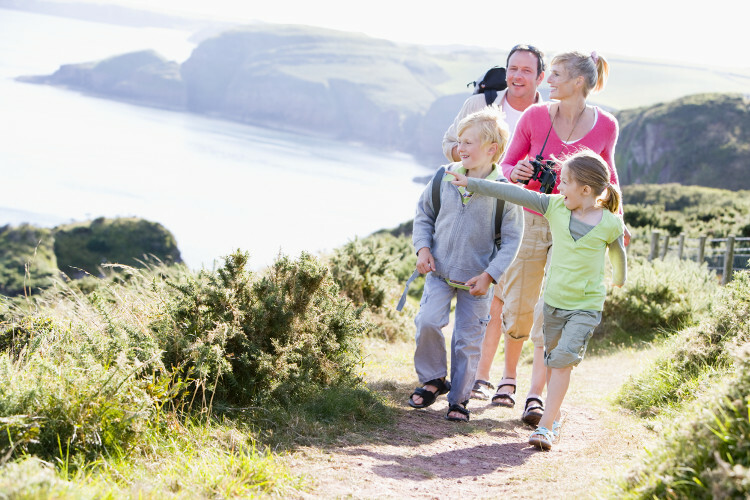 If you fancy an active day, you can pack a picnic and make the most of the sights with a walk or cycle along the South West Coast Path which follows the picturesque coastline of Devon, taking in hidden coves, sandy beaches and awe-inspiring views. Alternatively, you could explore a portion of the Tarka Trail, a flat walking and cycling route which runs in a figure-of-eight route centred around Barnstaple. 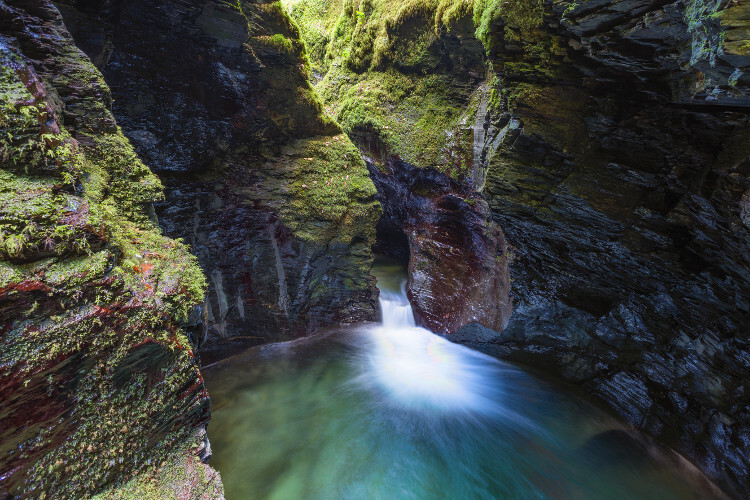 One of the most spectacular beauty spots in Devon is Lydford Gorge, the deepest gorge in the South West. There are whirlpools and waterfalls including the 27-metre-high White Lady Waterfall and the famous Devil’s Cauldron where the raging torrent thunders into deep pools below. This is the perfect place for appreciating nature together. Holidaycottages.co.uk offer an inspiring collection of family-friendly cottages in Devon from the charms of the seaside to the wilds of Exmoor. Have a browse here. The New Forest in Hampshire is the UK’s most beautiful forest and one of the most often overlooked family destinations in the south of England. Fun-filled days can be spent exploring the countryside and marvelling at the 193,000 acres of woodlands and heathlands, discovering local history at one of the fascinating museums, or laughing your socks off at one of the many family-friendly visitor attractions. 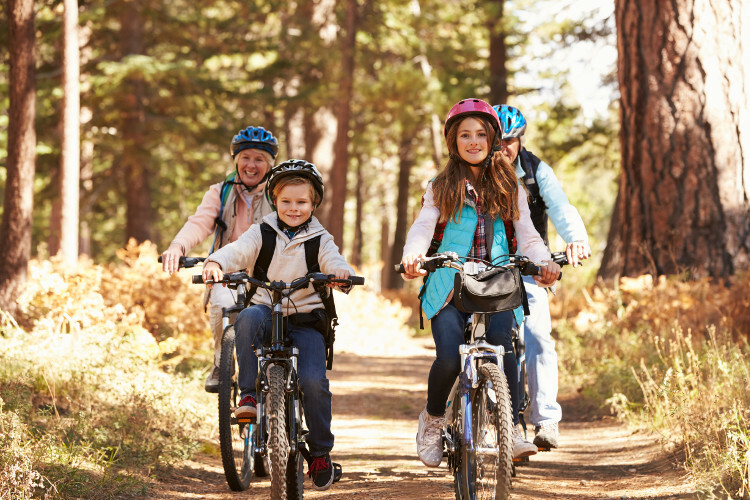 From walking and cycling to sailing and climbing, the New Forest is perfect for any family who enjoys the outdoors. 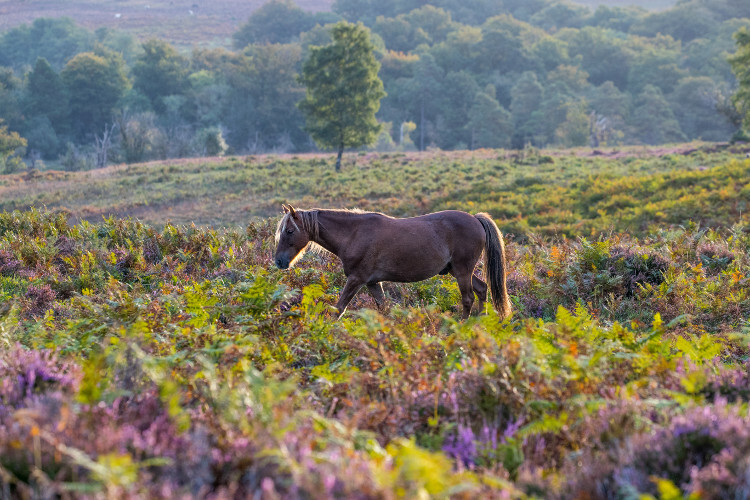 There are over 140 miles of easy off-road tracks to follow by bike or by foot and if you keep your eyes peeled, you’ll see the iconic New Forest ponies roaming free, as well as donkeys, sheep and even the occasional pig. In the summer, the New Forest Water Park in Fordingbridge offers a plethora of wet and wild activities for tots to teens, while New Forest Activities in Beaulieu provides an enticing range of family excursions from Family Canadian Canoe Tours on the Beaulieu River to Woodland Adventure Days covering survival skills and archery. For young petrol heads, the world-famous National Motor Museum has over 250 vehicles on show including Formula 1 racing cars and the World of Top Gear, where you can get up close to the cars from the TV series. Or if maritime history is more their thing, step back in time at Buckler’s Hard Maritime Museum and discover the best-preserved example of an 18th-century shipbuilding village in the world. It’s not all about the forests here, the New Forest coastline makes for a great day out too, especially at Lepe Country Park with its mile-long family-friendly beach backed by pine fringed cliffs. 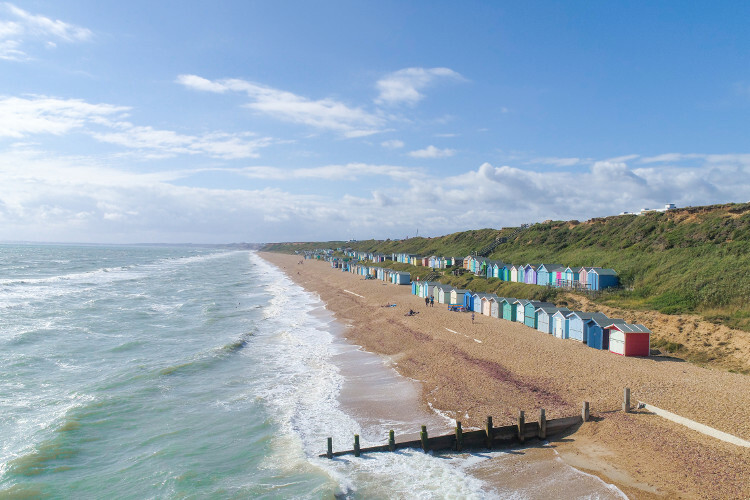 You could also spend the day fossil hunting on the shingle beach of Barton-on-Sea, swimming in the calm waters of Milford-on-Sea or wildlife watching at the coastal nature reserve of Keyhaven. Holidaycottages.co.uk offer an incredible variety of family-friendly cottages in the New Forest for families of all sizes. Have a browse here. 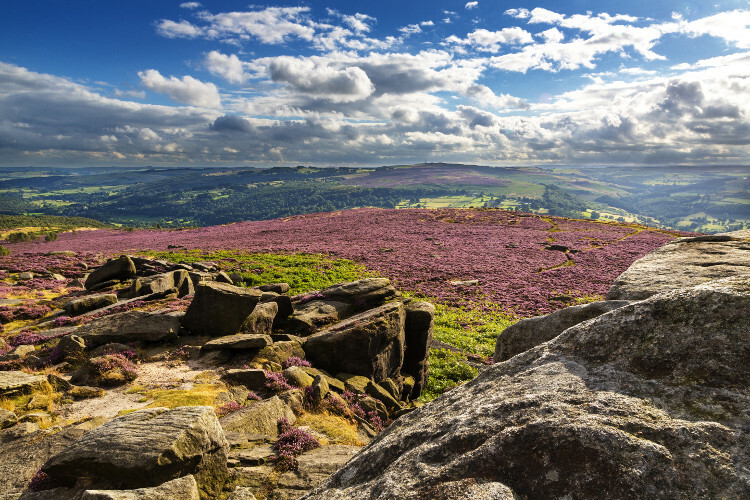 From abseiling and rock climbing to walks and cycling, the adventures on offer in the Peak District National Park aren’t just for grownups. This exciting activity destination also boasts a myriad of family days out from surprising attractions like the UK’s largest amusement park, classic country houses, droves of pretty villages with the best tea rooms and a treasure trove of natural wonders including mysterious caves. Delve underground for a unique subterranean adventure exploring Poole’s Cavern, one of the finest show caves in England. Then, for any high flyers in your family group, try out the nearby Go Ape with its tree-top walks, zip lines, and high-octane activities. 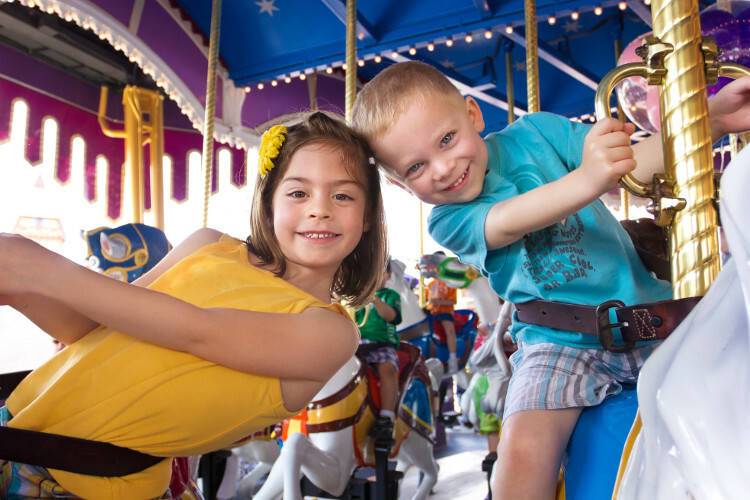 And if you’ve still got energy to burn, toddlers and young teens will love Gulliver’s Kingdom with over 60 rides and attractions, while older teens and the big kid within us all will find adrenaline thrills on the white-knuckle rides of Alton Towers. 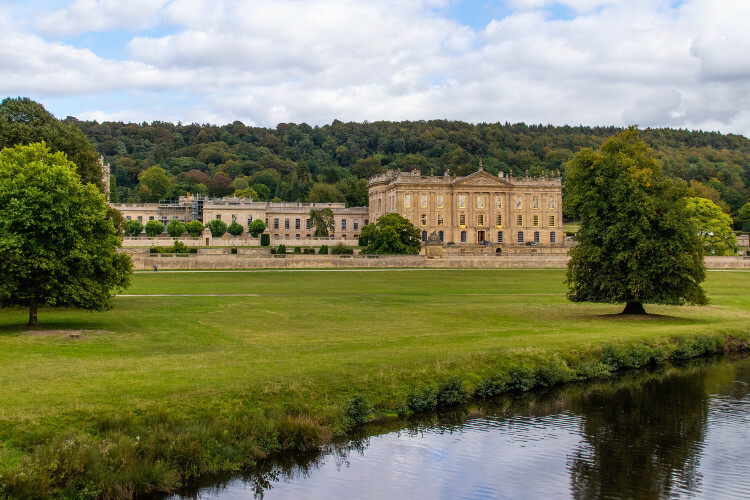 For a slightly more cultured expedition, the elegant Chatsworth House in Bakewell has over 30 rooms to explore where families can admire artwork, ancient artefacts and sculptures spanning 4,000 years. Outside, there is also a tricky (but very entertaining) hedge maze, where you can start at opposite ends and see who reaches the middle first! 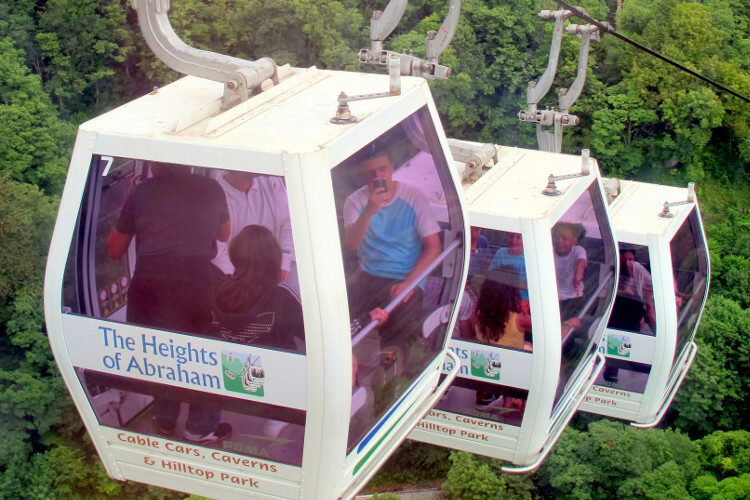 One of the best ways to see the captivating landscapes of the Peak District is by cable car at The Heights of Abraham in Matlock. 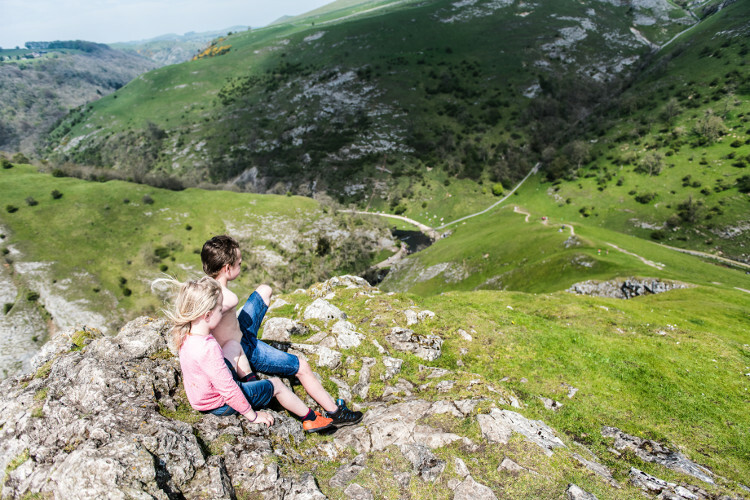 As you soar over the dramatic ridges of the Derwent Valley you can get some great family snaps and once you reach the summit, there’s heaps of fun for the whole family including amazing caverns, a fossil factory, an adventure playground and walks galore. Holidaycottages.co.uk have a wide collection of family-friendly cottages in the Peak District with plenty of features to ensure you will never get bored including games, books and films. Have a browse here. 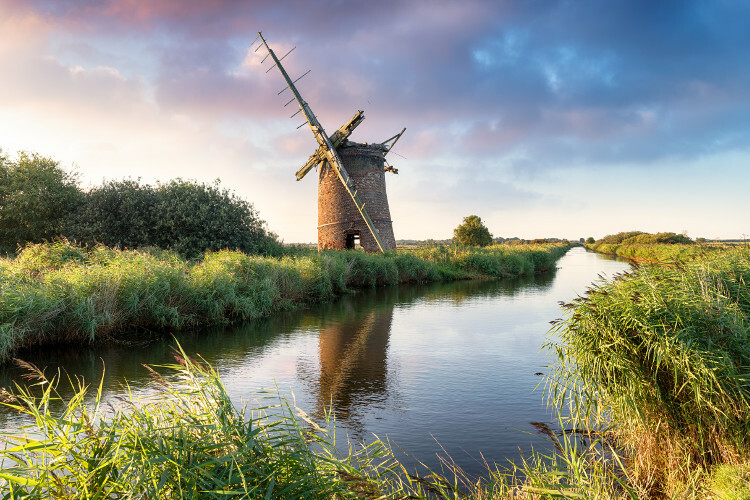 Found on England’s east coast, Norfolk is a vibrant county which offers families a little bit of everything. 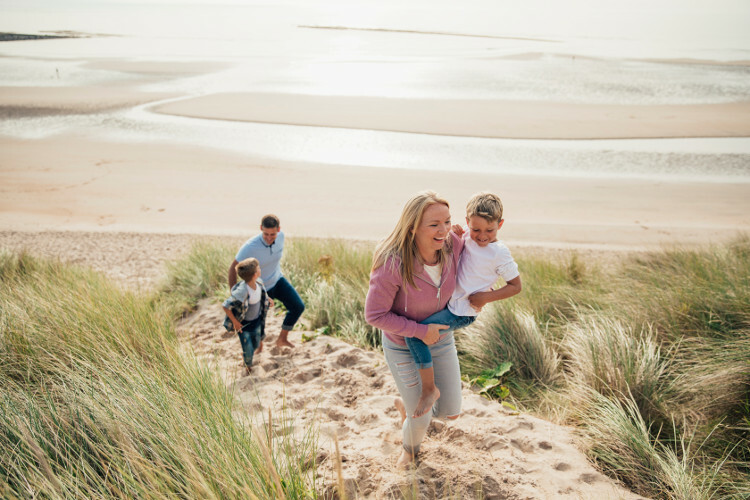 Wildlife, historic sites, miles of unspoilt beaches and bustling city charm, Norfolk has family holidays covered. It’s the kind of place that after you’ve visited once, you’ll probably return to year after year. 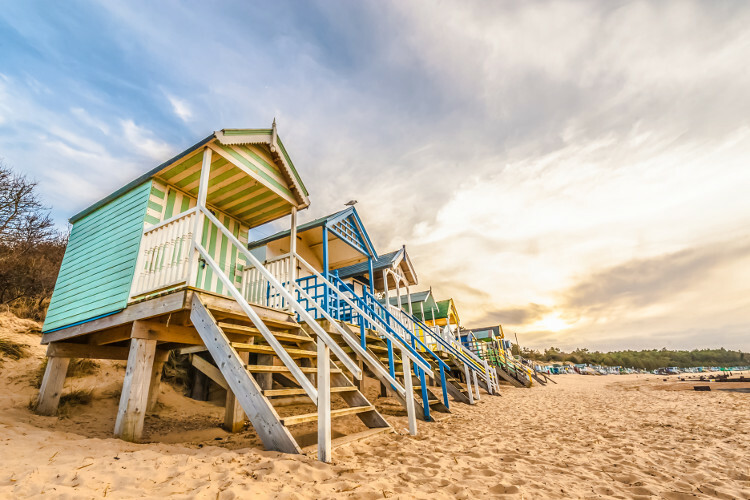 For traditional fun beside the sea, you can’t beat Holkham, Cromer, Wells-next-the-Sea and Hunstanton with their colourful beach huts, gasp-worthy beaches and plenty of opportunities for paper-wrapped fish and chips. Don’t forget to sample some of the famous Cromer Crab while you’re there! 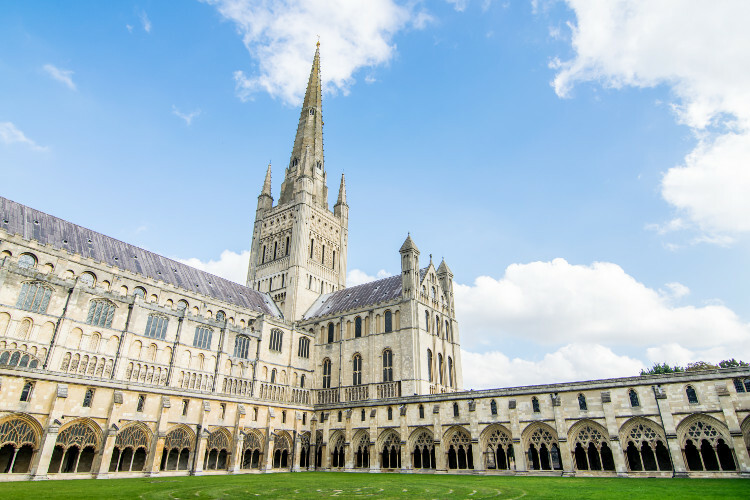 For other, less sandy things to do, there’s the magnificent Norwich cathedral and castle, the adventure park of Bewilderwood, Holt Country Park and the Bure Valley Railway where you can enjoy a magical 18-mile round-trip through the Norfolk countryside on a heritage steam train. There are also plenty of English Heritage and National Trust properties to explore too. 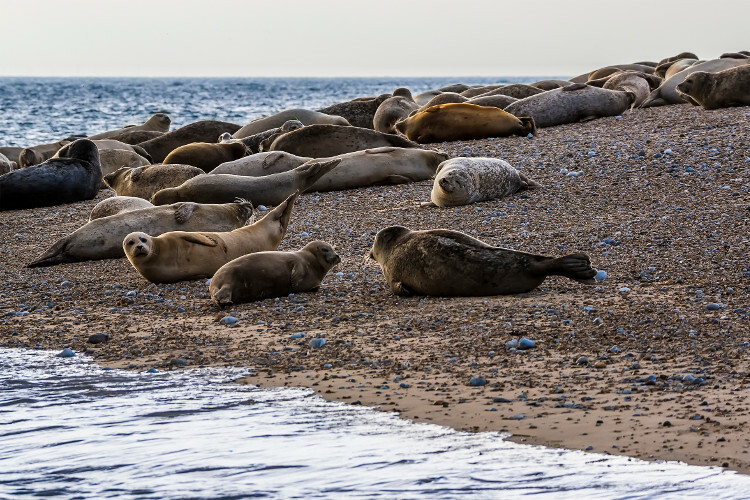 A firm family favourite activity in Norfolk is to hop aboard a boat to Blakeney Point to see one of the largest seal colonies in England. Cared for by the National Trust, this 4-mile long shingle spit is a haven for wildlife – you can almost guarantee seal sightings and even if you’re unlucky, the kids will enjoy being on the water, spotting all the coastal birds. Another highlight of the county is undoubtedly the Norfolk Broads which are Britain’s largest wetlands, filled with creatures great and small. Take a boat trip and marvel at the hundreds of miles of waterways lined with creaking windmills, beautiful scenery and attractive villages. Holidaycottages.co.uk offer family-friendly cottages in Norfolk ranging from the cute and cosy to large barn conversions, and all of them are perfectly placed to make the most of Norfolk’s beauty. 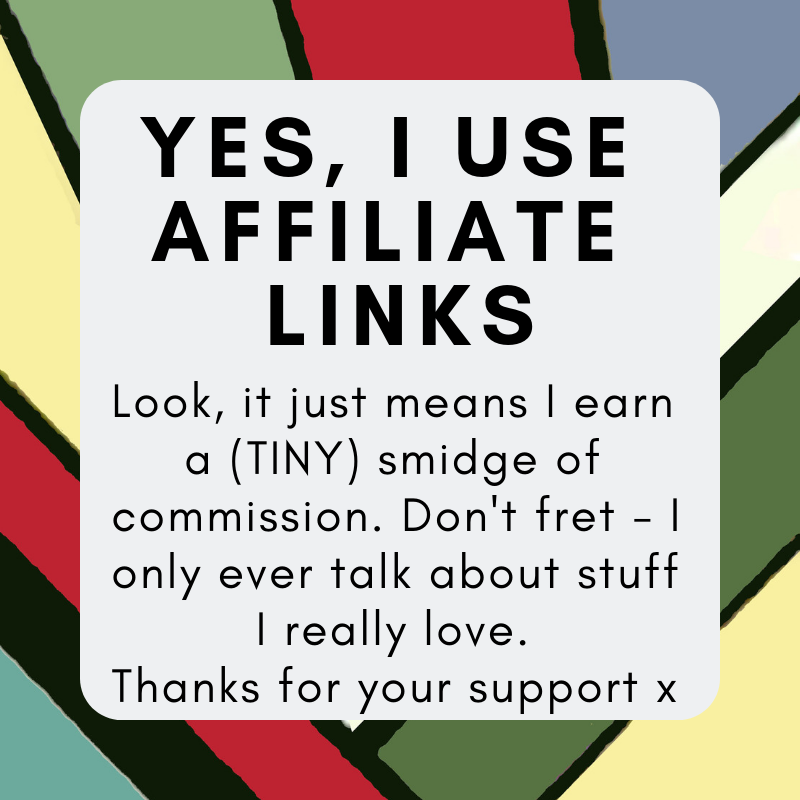 Have a browse here. 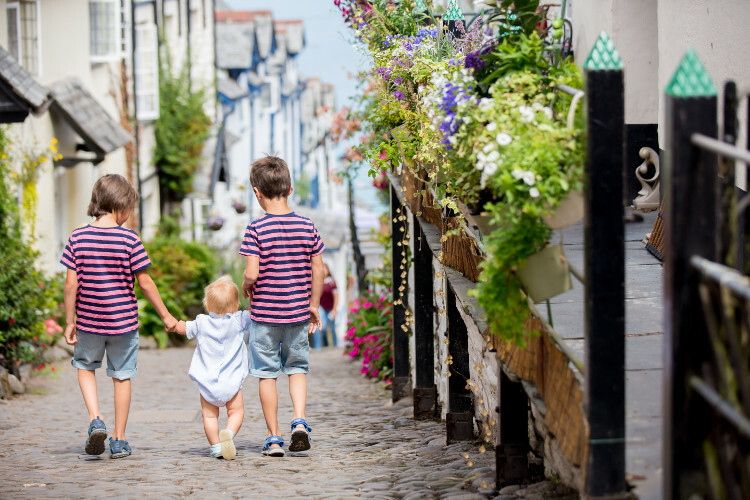 Family holidays are all about spending quality time together which is why holidaycottages.co.uk aim to make your stay as enjoyable as possible. Boasting an array of family-friendly features, their self-catering accommodation caters for those who require cots, high chairs and enclosed gardens, and those seeking additional extras such as swimming pools, play equipment and games rooms. 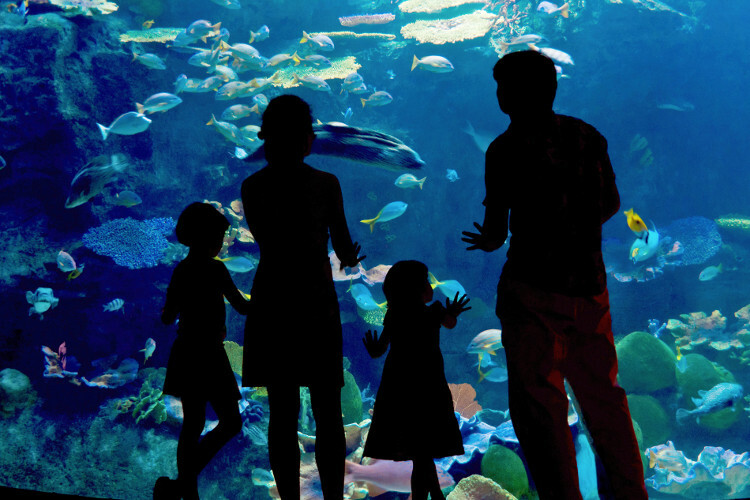 And most importantly, they are all located in wonderful parts of the UK from beside the sea to the countryside and near to some of the nation’s most exciting attractions – perfect for fun-filled days out and good times with all the family. 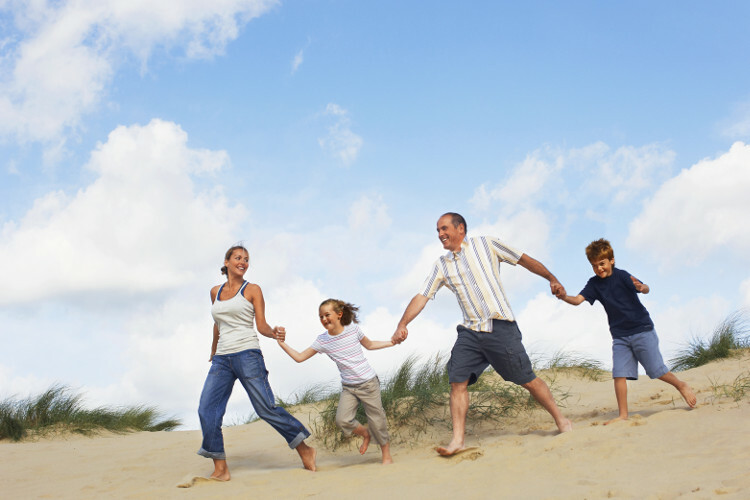 Have a browse of their family-friendly holidays in the UK.